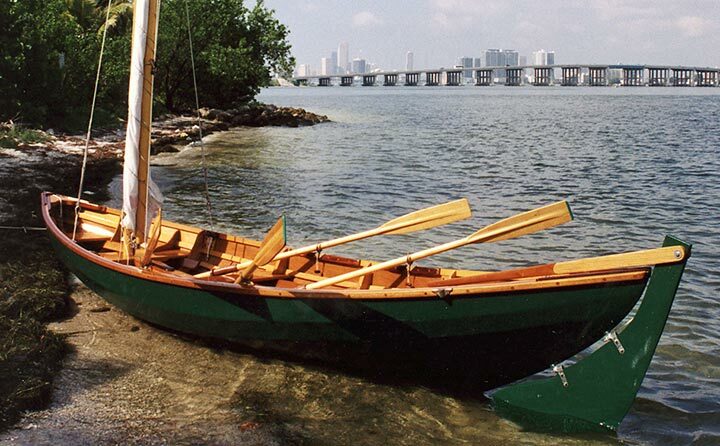 Geoff and Jean Lee wanted a boat that they could row and sail with equal ease in the open waters of Biscayne Bay, Florida. 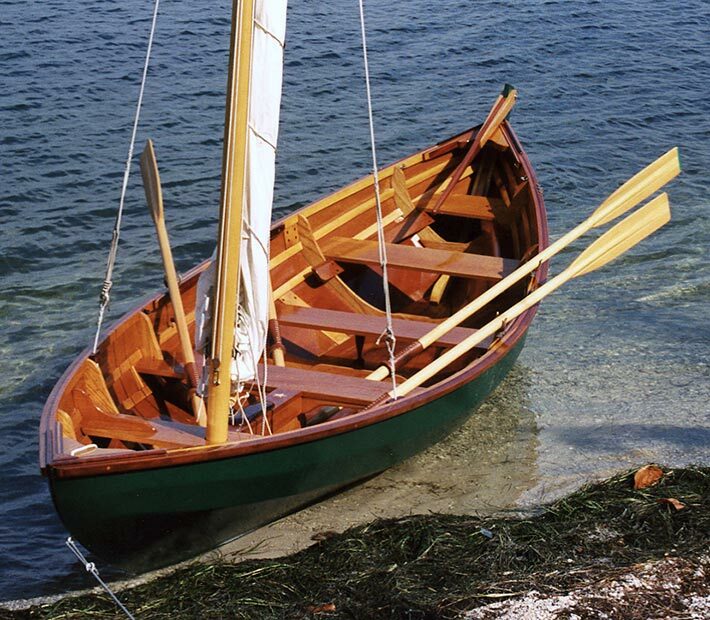 They found the design for this 18' William Chamberlain Gunning Dory in John Gardner's book The Dory Book. They built it from epoxy-coated meranti plywood on oak frames with mahogany thwarts and risers. The seam battens were made of fir. 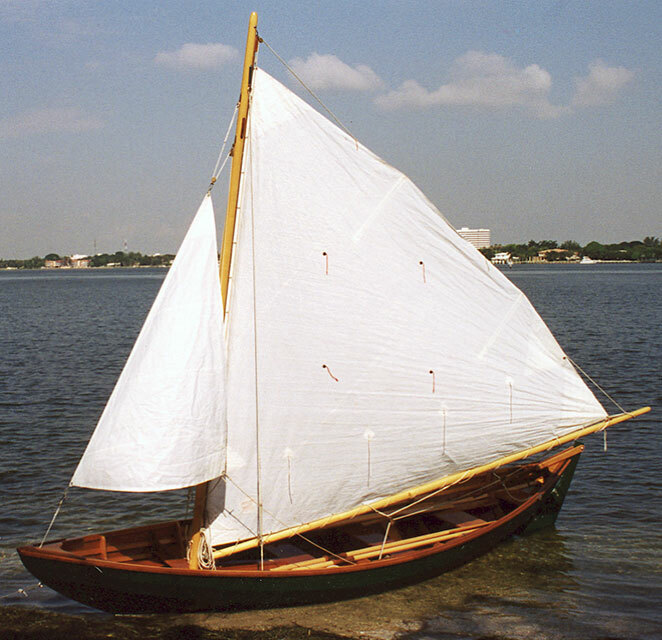 They used a modified beachcomber rig for the sail plan.